The Port Terminal Railroad Association is a terminal switching railroad that serves industries along the Houston Ship Channel. 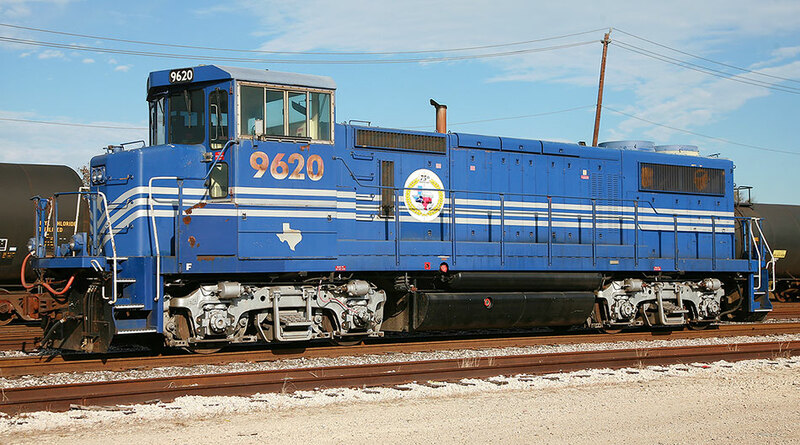 It was created in 1924 by the 18 railroads that served Houston to provide access and neutral switching to the industries along the Houston Ship channel for all member railroads. The PTRA was virtually anonymous for most of its history because it did not have any locomotives. Motive power for its operations was provided by the member railroads. In the 1980’s and early 1990’s, PTRA trains would have just about any older 4-axle power from the BN, UP, SP and MKT. That changed in 1996 when PTRA members, now down to 3 railroads (UP, BNSF and TexMex/KCS) decided it was best for the PTRA to have its own, dedicated fleet of locomotives. 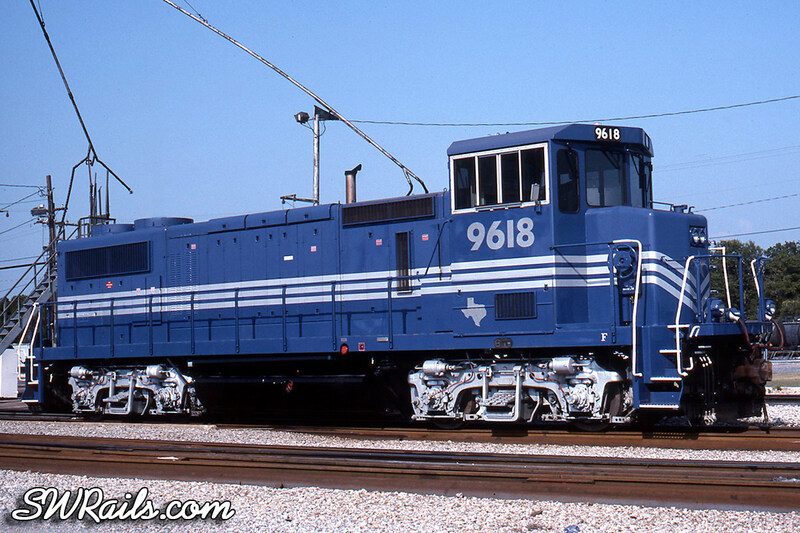 The PTRA ordered 24 MK1500D locomotives, 9601-9624, from Morrison Knudsen. They arrived on the property between July 1996 – January 1997. If I recall correctly, the locomotives were acquired under a 15 year turnkey lease (lessor provides equipment and maintenance) from Morrison Knudsen. The only change to the appearance of the PTRA fleet took place in 1999, when decals were affixed to the locomotives commemorating the PTRA’s 75th anniversary. Of course, the passage of time will certainly change the appearance of a locomotive, as illustrated by this image of PTRA 9620 from 2006. So here we are in 2011. I’m just getting used to the PTRA’s inaugural paint scheme. I had gotten word that the fleet would be getting re-painted, which I assumed would be a fresh coat of blue and silver. I was wrong. (Memo to self: stop assuming stuff). More information about the PTRA’s new image as it becomes available. 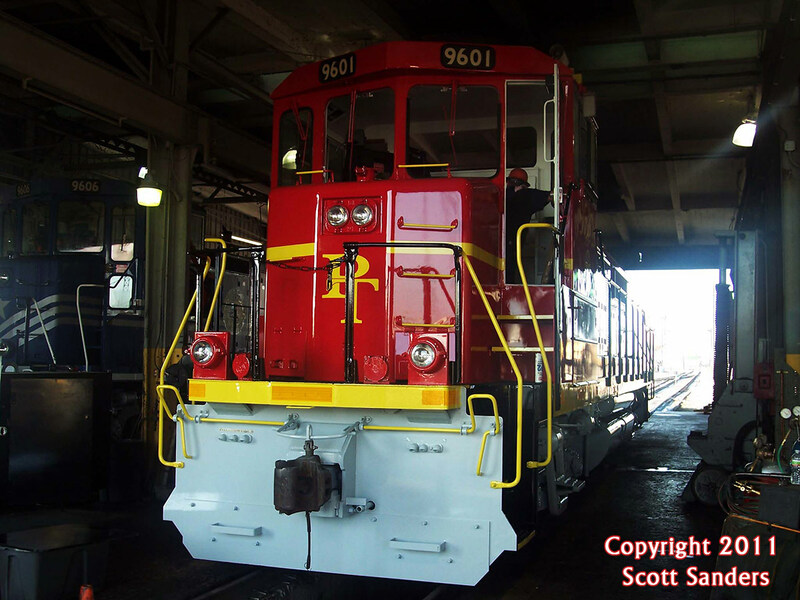 Thanks to Scott Sanders of the PTRA for allowing me to use his image of PTRA 9601 in the PTRA North Yard roundhouse.